The public warehousing in Philadelphia is available from Inner Space, Inc. ("Inner Space"). The public warehousing offered by Inner Space in Philadelphia is cost-effective. The public warehousing facility Inner Space offers in Philadelphia is 250,000 square feet. The public warehousing facility offers amble loading docks to handle materials, merchandise and business records. The public warehousing described herein is at Interstate 76 and U.S. Route 1. By utilizing public warehousing with Inner Space gain rapid docking, loading and delivery throughout Philadelphia and Northeast United States. Use of public warehousing is a double benefit to business owners. For example, establishing a public warehousing relation with Inner Space means you get to free-up existing storage space at your property. Another benefit of public warehousing often leads to a reduction of the business' operating expenses, because your products will now be conveniently located in the heart of the Northeast within Philadelphia providing rapid access to all major cities along convenient interstate highways. For twenty-one years, Inner-Space has utilized cost-effective order fulfillment systems to assist our customers succeed. Inner Space performs order fulfillment by providing cost-effective interface to assist your customers place orders. Inner Space will work with your team to determine exactly what order fulfillment services you desire. Often times, customers will request Inner Space perform customer service, such as managing your order fulfillment front-end. Inner Space order fulfillment can also include managing sales occurring through website shopping carts. Order fulfillment may include in-house sales, providing ordering systems and back-end order fulfillment systems. Inner Space order fulfillment can be achieved by phone, fax and utilizing email depending upon which method your organization prefers. Our expert customer service representatives are available to provide your customers 24-hour order fulfillment. As part of Inner-Space order fulfillment, you can request experts to perform order-picking, packing and shipping. 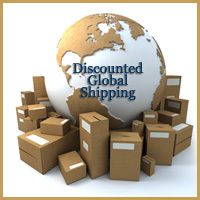 Order fulfillment is handled in a just, speedy and inexpensive manner to ensure your customer's satisfaction. Inner Space offers 250,000 square feet of public warehousing including dry sprinkler system. The U.S. government is a customer. This Philadelphia public warehousing property is fenced-in, monitored 24 hours per day, safe, secure and contains a dry fire sprinkler system, therefore the United States Government trusts Inner Space for public warehousing storage.